We have during the years – also back with Supertanker – developed workshop formats that would give students a hands on experience in a local community while at the same time that community would benefit from the ideas and actions of the students. 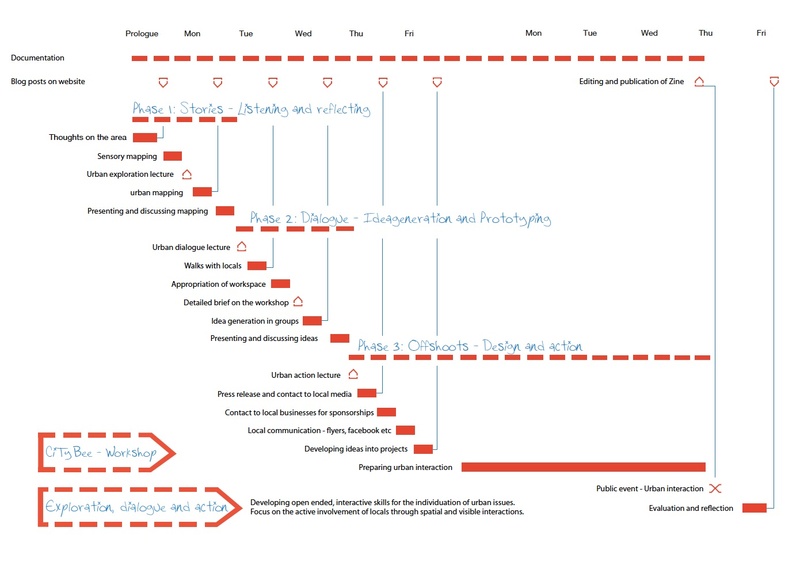 Our goal is to develop open ended, interactive skills for the individuation of urban issues. With focus on the active involvement of locals through spatial and visible interactions. The workshop has a flexible format and can be stretched from the intensive 2 weeks that is described in the presentation to a longer period of time. 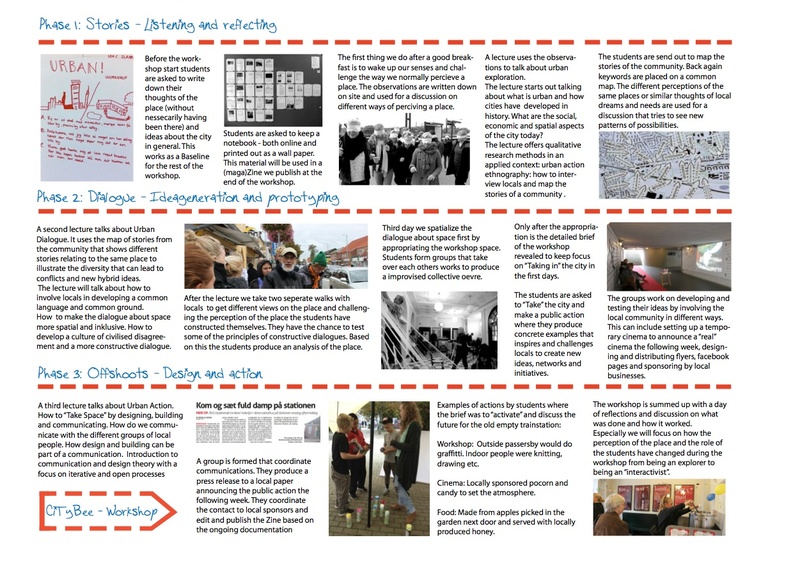 Posted on May 18, 2013 November 3, 2017 by jensbrandtTagged Appropriation, Building together, CiTyBee, Spatialising the dialogue, Students, Urbanity, Workshop.